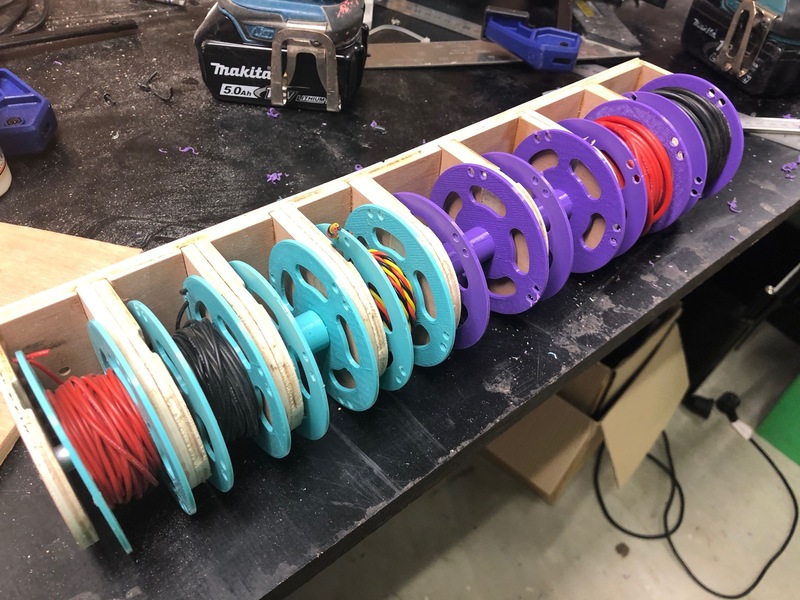 A easy way to organise small wires that usually just come as a bundle. I used 12mm ply and cut the slots in both sides. first just the slots on one side, then the slots including the backing board and the outlines on the second side. The thin stip in the centre is not to be cut but the 3 holes drilled in it are used to align the piece on the second side. The fusion files are set up with parameters for all the usefull things you might want to change. for example the width of each bay can be set so any combination of widths can be made. Also all parts of the spools can also be changed to match. Sorry if its hard to work out, i didnt draw this with sharing in mind! It all made sense at the time.